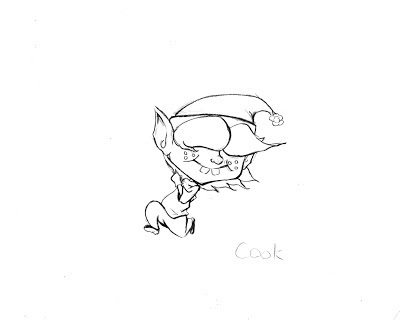 Jordan Wilson's Creative Art Lair : Elves! 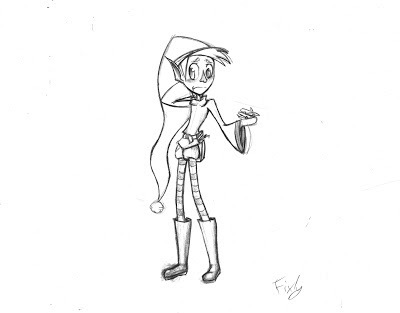 Elves Everywhere! This one is Fixly. He was one of the ones in the story. 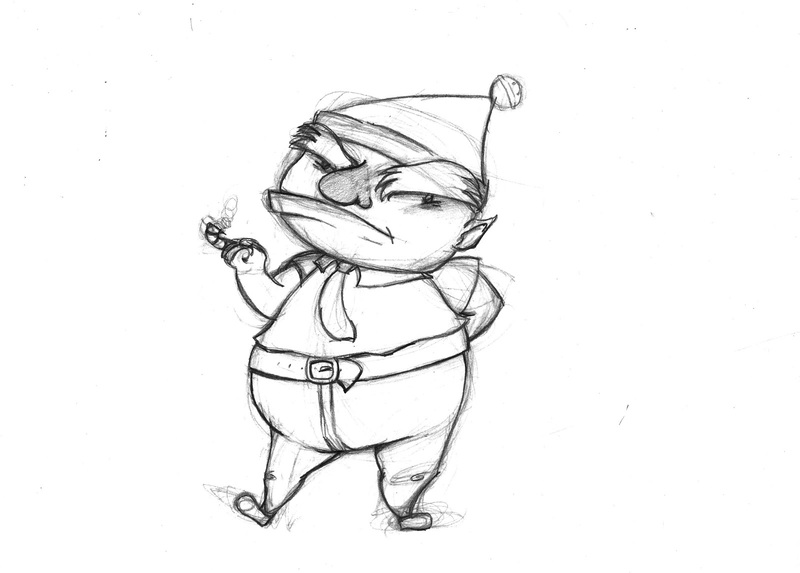 I didn't push his design all too much; as he seemed to be the main character, I wanted it to look interesting, but not too exagerated. Postly is another from the story. I tried pushing the design a little more here, but not as much as I was trying for. 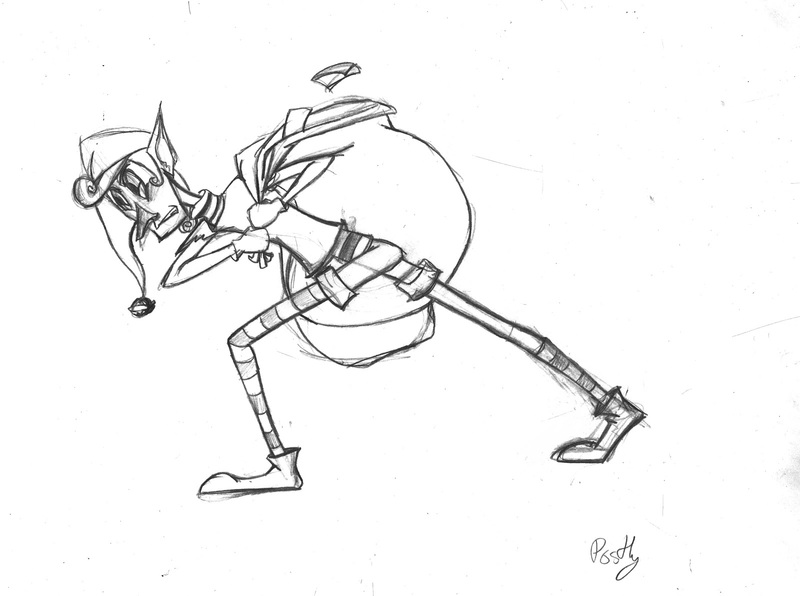 Still, he was fun to work on too, and it gave me a good opportunity to try pushing more force into my poses. Snootkin was the final one mentioned in the story. 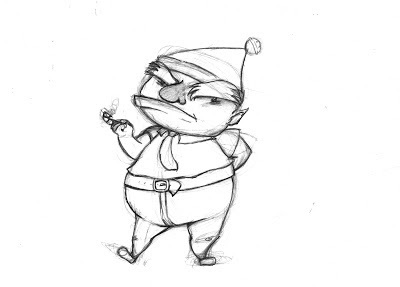 I'm not all too fond of the design, I feel I could have made him look more appealing had I spent more time on him. I struggled to pose him, too, but I think I got something okay in the end. 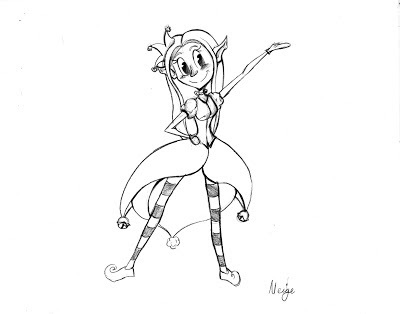 Neige was the first elf completely of my own design. After my previous project, in which I had tried to make a male character who was noticeably male, I took this opportunity to make a pretty, girly elf princess. 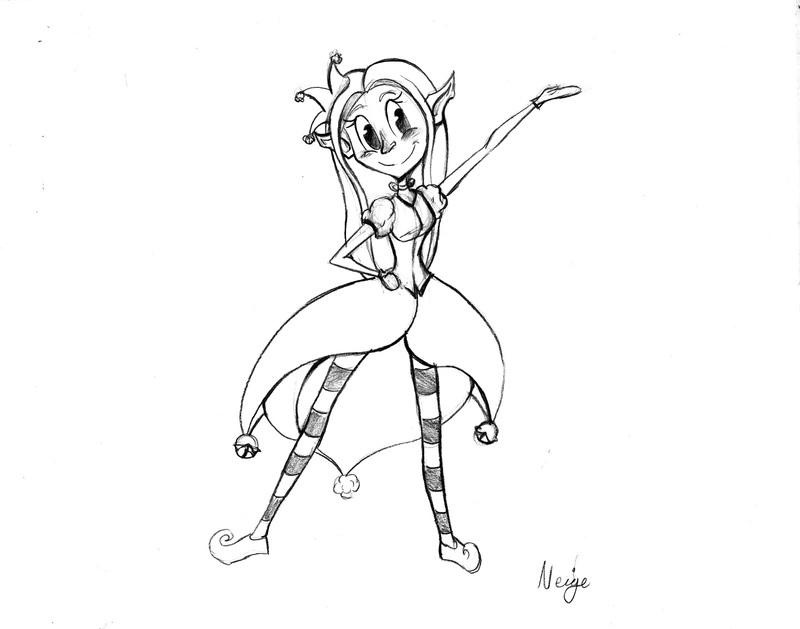 She was the most fun to design, although I chose not to push her exageration too far. 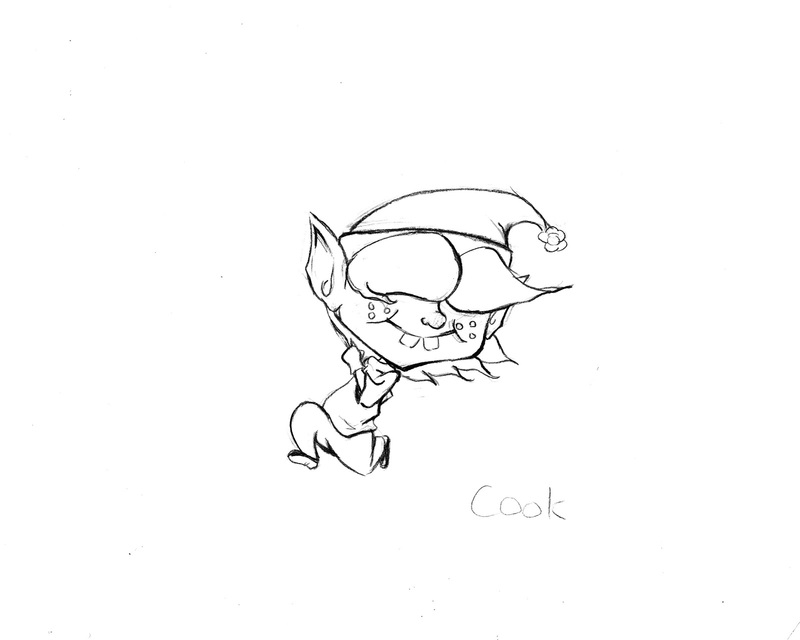 Cook's the second elf I made. Since I already had Neige, who was a little tall and fairly skinny, I wanted someone short and stubby- but still cute. 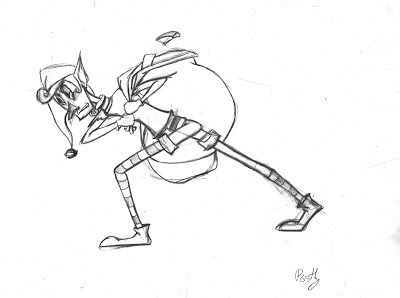 Having him as an energetic kid really helped me find a dynamic pose, too. If I were to redo him, I think I'd round his face off more, but I'm pretty happy with him!